I’m heading back to University at the end of the month for my 4th and final year of my degree. 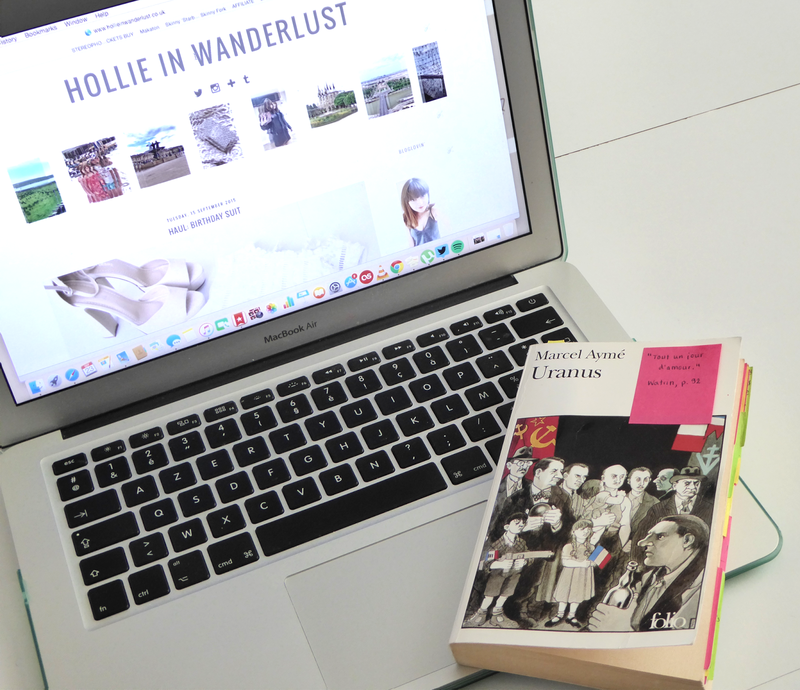 Because I do Modern European Languages at university, we have a compulsory year abroad – I chose to teach on my year abroad so I’ve had a full year with no exams, no revision and very little work at all so getting back into the swing of things is definitely going to be a challenge. Starting university can be daunting, especially if you’re living away from home. I only moved from Lancashire to Liverpool, so it wasn’t so much of an enormous move for me as I can get home in about an hour if I really need to. I decided to study at the University of Liverpool for a number of reasons but mostly because I knew that it was an amazing establishment and that I would get exactly where I want to be in life with their encouragement and advice. 3 years later and it is honestly the best decision I’ve ever made. I thought I’d do a little Back to University post series addressing a number of things for anyone worried about freshers, meeting their new flatmates and the like. This one is going to focus mostly on halls of residences and freshers events. My Halls of Residence was off campus, about 2 or 3 miles from the University itself and 4 miles from Liverpool city centre. I decided to go self-catered because I have dietary requirements and ensuite because the thought of sharing a bathroom with 9 other people made me feel a bit queasy! There were 10 people on my corridor and we shared a kitchen, and there were 6 or 7 corridors in the entire building. Our corridor became renowned for parties and predrinking, which was fine but going out every night wasn’t really my cup of tea (nor could I afford it!!) Getting used to living with people I didn’t know was surprisingly easy and you quickly make friends with the people you’re living with. I ended up living with all of the girls who lived on my corridor in second year, and I’m still good friends with 5 of them three years later. Freshers week (or fortnight in Liverpool’s case) was absolutely fantastic. You meet hundreds of different people from all sorts of backgrounds and cultures, people from different countries and people who might have lived just minutes away from you at home! Add wine, quad vods and more sambuca than you can even bear to think about and you’ll have yourself an amazing time. Most unis tend to offer wristbands or tickets which give you access to a number of events over the course of the week- personally I would wait to buy something like this until you meet the people you’re going to be living with because there’s a good chance you won’t manage to get to all of the events. The wristbands are usually quite expensive (at Liverpool they’re £60) and often some of the more popular events aren’t included in the price. Generally you can buy tickets to events on the door so you won’t miss out from not buying a wristband! In our freshers week we went to a paint party, a Where’s Wally fancy dress and a Silent Disco so there are lots of different things that you can try out. If you’re not into clubbing or drinking then there’re still plenty of things you can get involved in. There are freshers fairs taking place during the day where you can sign up to clubs and sports and meet like minded people. There are usually pub quizzes in the evenings plus there are enough gigs going on to keep any music fan entertained. Don’t hesitate to head down to the freshers fairs- even if you don’t find anything you want to sign up for, they usually give out bundles and bundles of freebies so you’ll save yourself a lot of money. Plus, there’s usually a Dominos stall- who would say no to free pizza?